Jacqueline Marks is a manager with Manatt Health, an interdisciplinary policy and business advisory division of Manatt. She provides project management, policy analysis and strategic business services to healthcare providers, payers, pharmaceutical manufacturers and other healthcare stakeholders. Jacqueline’s primary areas of focus include: digital health-enabled health system transformation, telehealth strategy development and policy analysis; strategic planning for academic medical centers and other healthcare providers; delivery system reform; and women’s reproductive health policy. 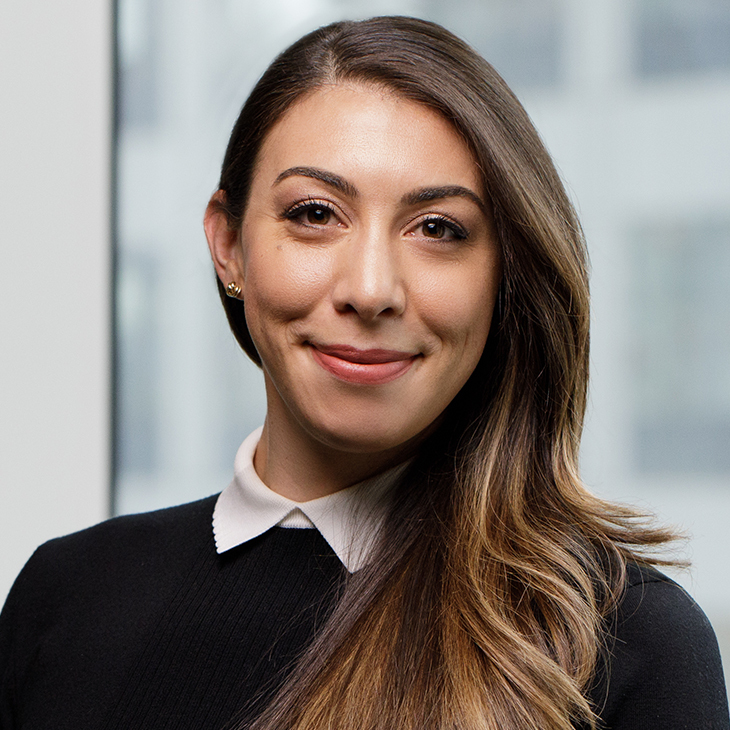 Prior to joining Manatt, Jacqueline was a business intelligence analyst with the Planned Parenthood Federation of America (PPFA), where she was responsible for aggregating and analyzing clinical and financial data from more than 700 health centers nationwide. In this role, she collaborated with the business operations team to measure and compare clinician and health center productivity across more than 200 centers. She also supported the business intelligence team and Electronic Health Record (EHR) vendors in building meaningful data extracts and survey templates to facilitate improvements in data collection and reporting across the Federation. In addition, Jacqueline’s work included analyzing the effects of the Affordable Care Act (ACA) on PPFA to help shape the Federation’s strategic plans. While working toward her graduate degree in health policy and management, Jacqueline was an intern in the Reproductive Health Department of the World Health Organization in Geneva, Switzerland. Earlier in her career, she was a research and operations assistant with Via Research LLC, a global epidemiology and health outcomes research consulting group. “Ethics Matter: Elements of Informed Consent and the Process of Obtaining It,” Geneva Medical Foundation for Education and Research Workshop, Geneva, Switzerland, June 13-17, 2011. Co-author, “Trends and Variation in LARC Use among Planned Parenthood Affiliates,” 2014 North American Forum on Family Planning, November 2014. Co-author, “Male Reproductive Health Services: Trends from Planned Parenthood Health Centers,” Academy Health Annual Research Meeting, June 14, 2014. Co-author, “Five-Year Trends in Medication Abortion: A View from Planned Parenthood,” NAF Conference, April 2014.